The IEC 62133 family of standards has enabled international harmonization of safety testing for small-format cells and batteries since its initial release in 2002 followed by a major revision in 2012. Recognizing the substantial shifts in the rechargeable battery market from nickel to lithium chemistries, the standard underwent its most dramatic change in 2017. This article will familiarize the reader with those latest changes and their impact on attaining cell and battery pack compliance. The full title of IEC 62133 is “Secondary cells and batteries containing alkaline or other non-acid electrolytes – Safety requirements for portable sealed secondary cells, and for batteries made from them, for use in portable applications”. The scope of the first and second editions of the standard included both nickel and lithium battery chemistries. When the standard made its debut in 2002, this made sense as both nickel and lithium had significant shares of the rechargeable cell and battery market. As technology moved forward, secondary lithium options in the form of lithium-ion and lithium-polymer overtook both nickel-cadmium and nickel-metal-hydride in most portable applications. Despite lithium’s potential volatility concerns, its benefits of higher voltage, higher energy density, and less self-discharge offered greater value to the market. Additionally, the cost of lithium cells had dropped significantly over time as volumes increased. The result was that industry focused on improving lithium’s safety and performance while nickel chemistries fell out of favor for most applications. Accepting the new reality of the global market, the latest version of the IEC 62133 standard divides along chemistry lines. The dash-1 standard (62133-1) covers nickel chemistries whereas the dash-2 (62133-2) is exclusive to lithium. This renaming has resulted in some confusion as the previous version was IEC 62133 2nd Edition, where the new versions are IEC 62133-1 and -2, but are both reset to 1st Edition. It is unlikely that IEC 62133-1 will see any significant changes going forward. The same cannot be said for IEC 62133-2 given the vast amounts of ongoing research into improving both the safety and performance of rechargeable lithium. Note also that the division by chemistry is only the initial step in a much more extensive story of change. Two tests have been renamed to clarify the intent and scope of the tests. The Moulded case stress test has been renamed to Case stress at high ambient temperature (batteries). Similarly, the Overcharge of Nickel Systems has been simplified to just Overcharge. These changes follow naming conventions applied to the new lithium standard. A note was added to the test sample table noting that cell testing is not applicable to button cells. Paragraph 8.2 was added to detail the safety information required for small cells and batteries. Ingestion concerns were addressed with the addition of paragraph 9.3 and the prescription of a specific ingestion gage to aid in the assessment of specific small cell and battery designs. Additionally, button cell packaging requirements were updated to ensure that packaging is large enough to help mitigate ingestion concerns. The Thermal abuse test was modified to extend the soak at high temperature from 10 minutes to 30 minutes. This is in line with the corresponding lithium cell requirements. The force tolerance on the crush test was reduced from 13 ± 1 kN to 13 ±78 kN. As with the heating test, this harmonizes with changes made to the corresponding lithium cell requirements. The inclusion of single-cell batteries in the definition of Secondary battery. The clarification that Leakage is the unplanned visible escape of liquid electrolyte. The addition of an explicit definition for Reference test current It as the charge or discharge current expressed as a multiple of the C5 rated capacity (It A) in Amp-Hours. This value is used throughout the test definitions included in the standard. New definitions for Cylindrical cell, Prismatic cell, and Cell block. Acknowledging the increasing complexity of portable energy devices which in some cases may include both hardware and software aspects relating to safety performance, a definition for Functional safety was added as part of the overall safety that depends on functional and physical units operating correctly in response to their inputs. Not all the changes to the standard represent a tightening of requirements. This can be seen in section 5.6 which covers the assembly of cells into battery packs. In the previous version, most of the requirements were very prescriptive and mandatory. Noting the general shift towards a risk-based standards approach, the new standard acknowledges that the designers should have both the latitude and responsibility to determine all aspects of the design, including product safety. As such, the items in this section have been modified to being recommendations (“should”) instead of mandatory requirements (“shall”). The section was expanded and reorganized to include many more specific design aspects for consideration. Section 5.8 and Annex F were also added which detail battery pack component reference standards, thus adding additional value to the users of the standard. The previous version of the standard included two charging procedures for both cells and batteries. The first procedure was done at room temperature while the second procedure was done at or above the specified thermal limits of the device. For cells that generally have no additional circuitry this was fine, however for battery packs this resulted in problems. Attempting to charge a battery pack at or outside of a specified ambient thermal limit was sometimes unsuccessful requiring iterative thermal reductions to find a temperature at which the circuitry would permit full charging. This resulted in inefficiency of the test process that offered minimal if any discernable value. IEC 62133-2 retains the non-ambient charge for certain cell tests but converts all battery pack charging to room temperature. The strict charging parameter requirements found in the earlier versions of the standard have been changed to the charging parameters specified by the cell or battery manufacturer. IEC 62133 2nd Edition removed vibration and shock testing. This was justified as this testing was already done as a part of the required UN 38.3 lithium battery transport testing. This removal has become controversial over time as the testing under UN 38.3 does not require third-party certification. In some cases, verification of stated compliance has uncovered non-compliant test processes were used thus compromising IEC 62133 compliance. As mechanical robustness is a central aspect of cell and battery pack safety performance, the IEC 62133-2 reestablishes both vibration and shock testing following the UN 38.3 test parameters. With this addition of explicit testing, the corresponding requirement to document compliance to the UN transportation testing requirements has been removed. Inclusion of faulting of battery pack safety circuit components was endorsed by some developers of the standard, but in the end was implemented only as recommendations versus mandatory requirements. Specifically, the new standard states that a safety analysis “should” be provided identifying critical components and that the components “should” be considered for single faulting during short-circuit testing of the battery pack. Whether or not such faults will become a mandatory part of country-specific deviations to the IEC standard remains a distinct possibility. The ambient temperature conditions for short-circuit testing have been reversed between the cell and battery pack. The new version of the standard calls for cell testing to be conducted at 55°C while battery pack testing will be done at room temperature (20°C). The soak time at high temperature (130°C) for the Thermal abuse test was extended from 10 minutes to 30 minutes. The standard also notes a pre-condition to soak the cells for 1 hour at 20 ± 5°C for one hour before testing. The Crush test has been simplified to remove the 10 percent maximum deformation requirement. As was defined in the new nickel battery testing, the force tolerance has been reduced for lithium cells from 13 ± 1 kN to 13 ±78 kN. The Overcharging of battery test has been made more abusive. Although the requirements for a series-connected battery haven’t changed significantly, the voltage for a single cell or cell block battery has been increased from 1.2 to 1.4 times the upper limit charging voltage (not to exceed 6.0V). In the previous version this was limited to 5.0V. Furthermore, the voltage should be sufficient to maintain 2.0 It A throughout the test or until the supply voltage is reached. An explicit requirement to monitor the temperature of the battery case was also added. The Forced internal short circuit (FISC) test has been modified to allow for a protective device in the battery or system to forego the need for this test. Additional clarifications to this highly-prescriptive test such as explicit definition of the voltage level to be used and actions to be taken based on specific response scenarios were added. All references to multi-cell applications have been removed. Polymer and coin cells are excluded from this test requirement. Secondary coin cells are excluded from all requirements if their internal resistance is 3Ω or higher. Required safety information to include ingestion hazard concerns as noted for nickel batteries are also applied to lithium coin cells. In conclusion, IEC62133-2 was released in February 2017 and was adopted by the IECEE for CB reports in May 2017. Although more extensive than its predecessor in many respects, its added clarity provides a notable improvement to the world’s preeminent internationally-harmonized standard for rechargeable lithium cell and battery safety testing. It is expected that associated national deviations to the standard as well as related updates to independent national standards will see releases in 2018 and 2019. The specifics of the implementation remain in flux with significant variation among countries, so frequent consultation with your test provider is encouraged to mitigate this uncertainty while improve the chances for positive compliance results. 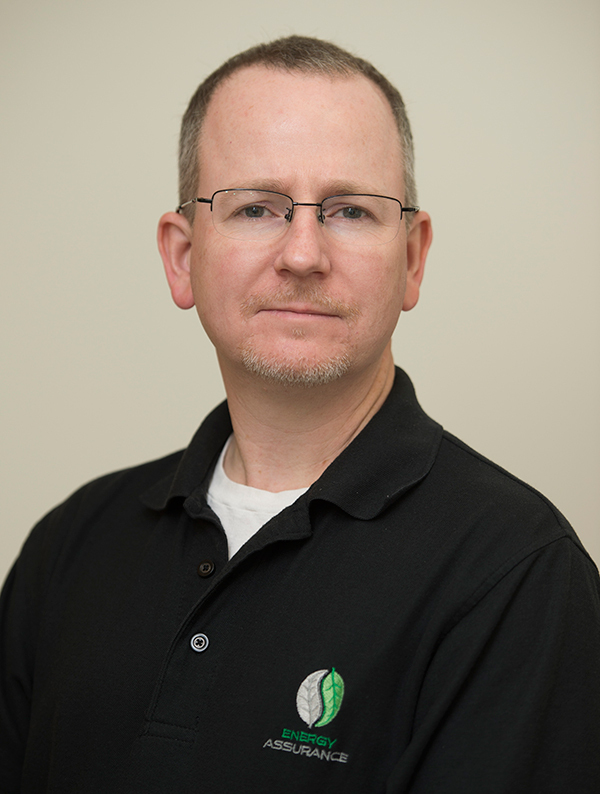 John C. Copeland is co-owner and technical manager for Energy Assurance LLC, an independent, fully-accredited cell and battery test laboratory. His career has included various positions in quality engineering, reliability engineering, failure analysis, project management, supplier assessment, and quality management in the electronics and portable energy sectors. John holds a BSEE from Auburn University, MSQA from Southern Polytechnic State University, and is trained as a Six-Sigma Black Belt. He can be reached at johncopland@energy-assurance.com.